Common teachings about early human migrations have held for decades that modern Homo sapiens first migrated out of Africa around 60,000 years ago, with descendants of this population and subsequent African migrants later colonizing the farthest reaches of the earth. Analysis over the past several years of fossils discovered nearly a century ago in the Qafzeh and Es-Skhul Caves in Israel, however, classified them as Homo sapiens dating to about 120,000 years ago. This means that our species was clearly in the Middle East of Asia long before 60,000 years ago. 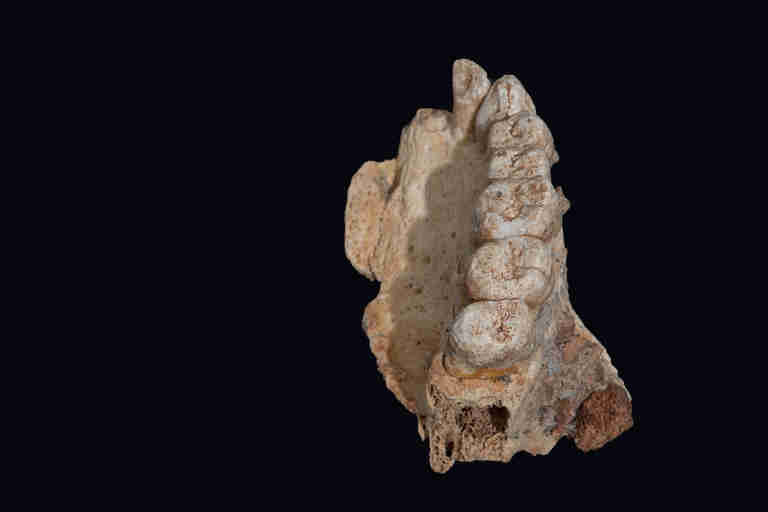 Now comes the announcement that an international team of researchers has just discovered a modern human fossil — upper jawbone and teeth — from a modern human who lived 177,000–200,000 years ago in Israel. The fossil, called "Misliya" since it was found in Misliya Cave on the western slopes of Mount Carmel, is described in the journal Science. "Misliya is not just the oldest modern human outside Africa," lead author Israel Hershkovitz of Tel Aviv University told Seeker. "It is the oldest modern human that we know of." Modern, in reference to Homo sapiens evolution, refers to early members of our species that are most like people today, but the term is a broad one and open to different interpretations. At the very least, the newly discovered fossil provides evidence that anatomically modern humans were living outside of Africa 50,000 years earlier than previously thought. The remains were dated by three independent methods (U-series, combined uranium series and electron spin resonance, and thermoluminescence) that all support the early time period. 3D virtual models of the fossil were also created and compared with other hominin fossils from Africa, Europe, and Asia. "All of the anatomical features in the Misliya fossil are consistent with it being a modern human," co-author Rolf Quam of Binghamton University told Seeker. "There is nothing in the fossil that says to us that it cannot be a Homo sapiens." The incisor and canine teeth appear to be unique to anatomically modern humans, as does a lack of "shoveling," a thickening of the tooth crown along the edges on the inside surface of the incisor and canine. The latter characteristic has often been seen in archaic human fossils. Quam and his colleagues, though, did identify other features in Misliya that are known to additional human groups, such as Neanderthals. "However," Quam said, "this does not mean Misliya is a hybrid specimen." 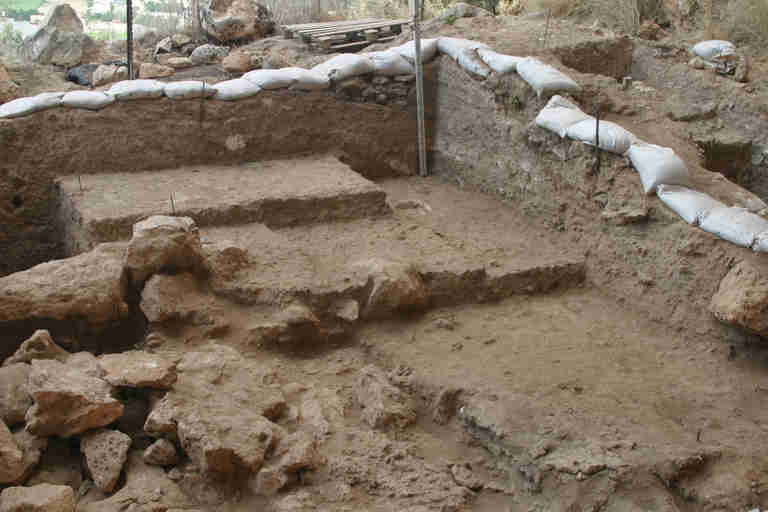 The researchers excavated multiple stone tools associated with Misliya. The stone tool "kit" is similar to that found with early, modern Homo sapiens in Africa. "The most common tools were flint points, many of which were exquisitely retouched and fashioned," Hershkovitz said. "The points were either hafted to serve as the tips of hunting projectiles, or were used for plant processing through the scraping or cutting of plant material, or the digging of plant tubers." He continued, "The occupants of the site were capable hunters of gazelles, fallow deer, aurochs, wild goats, and other species of deer. Ostrich egg shells were also found." The scientists determined that the people at Misliya Cave could control the production of fire, based on the remains of a hearth and its ashy sediment. Hearths were repeatedly constructed over many years at the site, suggesting that the cave was in continuous, or near-continuous, use over multiple generations. Plant materials appear to have been used for bedding or matting, constituting the earliest known evidence for such items. Hershkovitz and his colleagues are in agreement that the ancestors of Misliya likely originated in North Africa before migrating through the Levant, a region in the Middle East south of the Taurus Mountains, bounded by the Mediterranean Sea on the west and by the northern Arabian Desert and Upper Mesopotamia to the east. Quam said that the precise source population for the Misliya humans is unknown, "but the oldest fossils attributed to modern humans come from a site known as Jebel Irhoud in Morocco, and date to about 315,000 years ago." Last year, Jean-Jacques Hublin of the Max Planck Institute for Evolutionary Anthropology and his team discovered those fossils, which were reported in the journal Nature. 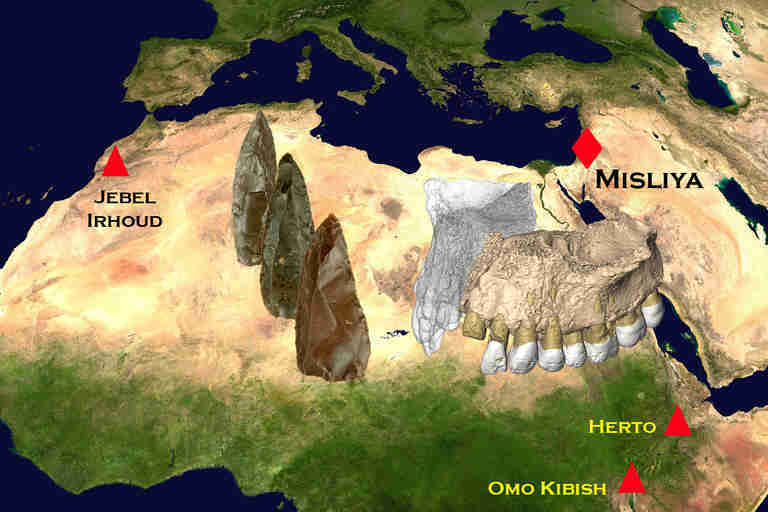 Hublin and his team wrote that the Moroccan evidence “makes Jebel Irhoud the oldest and richest African Middle Stone Age hominin site that documents early stages of the Homo sapiens clade in which key features of modern morphology were established." The fossils from Morocco, however, exhibit "more primitive neurocranial and endocranial morphology" too, according to Hublin and his team. Modern, in terms of our species, appears to encompass both an earlier period, represented by the Moroccan finds, and a later period, represented by the Misliya fossils. Which of these ancient groups of humans most resembled people that live today, however, remains in question. The bigger picture, based on the new findings and prior studies, is that primates first evolved in Asia before some migrated out of the continent. 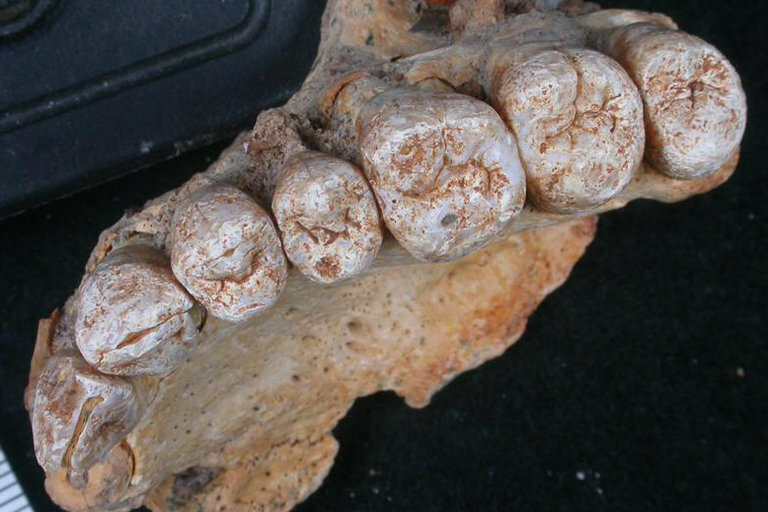 Fossils such as 7.2-million-year-old Graecopithecus freybergi, aka "El Graeco" from Greece and Bulgaria, controversially exhibit human features. The primary hominin lineage leading to the dawn of modern humans, however, is widely thought to have originated in Africa, but not in Morocco. Phillipp Gunz, co-author of the Nature paper and a Max-Planck Institute for Evolutionary Anthropology scientist, told Seeker, "It is unlikely that Homo sapiens evolved locally in Morocco. Instead, we believe that Homo sapiens evolved somewhere else in Africa and dispersed across the entire continent. This is based on the distribution of the earliest Homo sapiens fossils from North Africa, South Africa, and East Africa, as well as the pan-African distribution of the Middle Stone Age tools." As these populations dispersed, they likely interbred with other human species in Africa. Homo naledi, for example, may have coexisted for a period of time with Homo sapiens in South Africa, fossils suggest. Similarly, in Europe and Asia, "modern humans overlapped for a long period of time with existing hominin groups such as Neanderthals, Denisovans, Homo heidelbergensis, and even Homo erectus," Hershkovitz said. "Modern morphology evolved through this interaction." It is possible that descendants of the early Homo sapiens populations who out of Africa were seeking prey and additional resources. Multiple lines of evidence show that Neanderthals and other humans native to Europe and Asia often hunted big game. These large animals, though, disappeared from Israel around 400,000 years ago, Hershkovitz said. Nevertheless, the Misliya animal remains show that populations of smaller prey, such as deer, seem to have been prevalent in parts of the Levant. Hershkovitz and his colleagues are currently excavating two other caves in Israel, the Es-Skhul Cave south of the city of Haifa and the nearby Tabun Cave, located within the Nahal Me'arot Nature Reserve. "We hope,” he said, “to find more hominin fossils that will shed light on the people who lived in the region between 100,000 to 200,000 years ago."